Calico Ridge Henderson Nv. An amazing community located near Lake Las Vegas.. Elevated community offers some premium lots with full panoramic views of the entire greater La’s Vegas valley, strip and city views galore! Calico Ridge is home to both mid range and higher end Real Estate. Today’s r.e.o bank owned foreclosure market has found its way into most mainstream community’s including Calico Ridge, property deals currently are starting in the $130,000’s .. Amazing views of the mountains and Lake Mead are incredible from this community. The link below contain homes listed in the MLS. Enjoy and contact me for a great Real Estate sale experience. Summerlin Real Estate at its finest.. Here we have a selection of Summerlin community homes with a variety of builders such as Toll Brothers. All of the homes found in the link below are priced from $500k to $600k all hand selected for your pleasure. Many of them being one story homes with vaulted ceilings, 3bed rooms to 4bed rooms, dens, upgraded, pools, views of the tpc golf course, mountains, lakes. 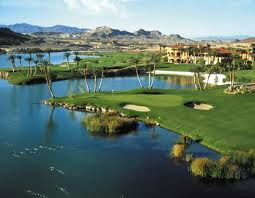 Summerlin community’s found here are Paradise Canyon, Summerlin Village, Country Club Hills, Heritage Glen at Summerlin. Property’s in this list range from 2000 sqft. to over 3000 sqft. Amenities will include,, guard gated, tennis, pools private or community, views, walking trails, club house, play ground.